I always review honestly but unfortunately some authors do not like it. No one likes negative criticism and sometimes it is mean to trash a book that has clearly not made the mark. When I come across a book which I genuinely can’t say anything good about I don’t review it. However there are always those books which you know could have been better. You can see that the author had a lot to say but got lost in the process of writing. To those authors I like to provide a balanced review. I point out the good and the bad in the book. What I liked, disliked and what I expected. Isn’t that why I review? Doesn’t an honest opinion matter any more? Wouldn’t it be better to take the constructive criticism during a blog tour and not be in denial. Because at some point of time genuine readers will read your books and if they don’t like it they’ll tell more people. Better still save yourself while dedicated book reviewers are still reading your ARCs. A common theme in every blog tour is that if you rate a book less than 4 we have to tell the author because they might not want such a review. What are we all so scared of? I read a lot of 3.5 books and like it. I might just like books that are less popular. 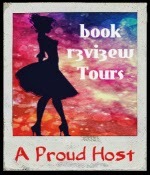 I understand that a blog tour is often just publicity, then why have reviews at all? I also know that after my stance on honest reviews a lot of authors might decline to let me read their books! Sorry, but I’d hate it if someone recommended a book to me and it wasn’t good enough. I am sure you would hate it too. This entry was posted in Uncategorized and tagged Book Reviews on April 10, 2014 by driftingtraveller. This is a topic that appears to be circulating through the book blogosphere lately, and I am always giving a lot in response especially considering that my experiences on blog tours are not like those you are having! 😦 In fact, I expanded on my thoughts in a lot of depth over on Starry Eyed Revue in which I talk about how I am always upfront & honest in my book reviews. The books I personally pick to be showcased on Jorie Loves A Story are books I am eagerly hoping will soak into my heart and imagination. Including those I select to feature on a blog tour — as all books I read for a blog tour are selected by myself. Another startling revelation was the entire ‘backlash’ of book bloggers who host blog tours which I was illuminated about in a twitter chat to the brink I felt rather miserable afterwards as they sort of gave the impression they cart blanche will not read one blogger’s post via a blog tour at this point! 😦 That saddens me, because the whole reason I blog & share my reading adventures are to inspire others to read books that I am finding myself! On that note, my reviews are open, honest, and completely true to how I feel as I read the books! I am never asked not to post a negative or neutral review for a blog tour — I never would allow my blog to be censored first-off, but secondly, its as you said, if we cannot be open & honest what is the point? Now I have found that the books which do not engage me personally or do not draw an empathic connection to a character or an author’s writing style — oft-times those reviews garish an interest from those who regularly read my blog! They understand my POV and my feelings, but felt that they would perhaps enjoy the book themselves instead. And, I celebrate that! 🙂 After all, a book that doesn’t float my book for the reasons I’ve listed might actually appeal to the next reader who alights on my blog! More than anything what I find in the feedback I am gaining is that how I blog about books — whether on a blog tour or otherwise, is a way of allowing a reader to make a choice about the books being featured. To be able to know for certain if they want to read the book based on what I wrote vs having to seek out more reviews/opinions to make their final choice. To me that sounds as though I have already succeeded in what I had set out to do originally! On the other hand, authors of whom have a “Fly in the Ointment” section on my blog have been quite forthright and open to my criticism and I have received nothing but gratitude from those authors for taking a bold step and being as honest as I have been. Case in point: L.G. O’ Connor recently mentioned that due to the fact I broached the issue over vulgarity she has already put into motion to offer “Trinity Stones” in a YA digital version and will consider down the road if she will release it in print. I’d have to say, authors are very open to book bloggers who give full respect to the author they are reading by giving their honest thoughts and opinions on the ‘writing itself’ and are being open to discussing what led to a disconnect or an issue whilst reading the novel.